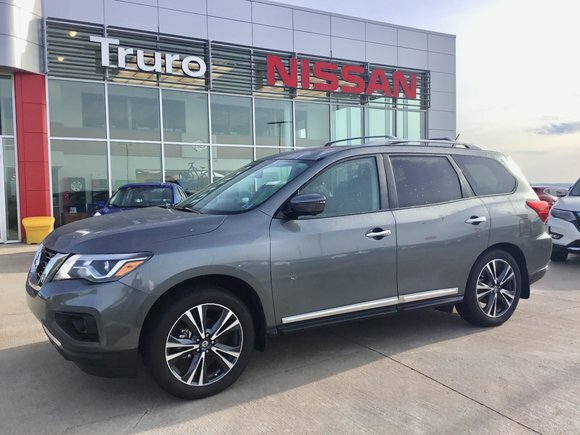 2018 Nissan Pathfinder Platinum 4WD 7 Passenger, Heated and Cooled front seats, heated rear seats, Rear DVD enertainment systemm, Weather tech mats front to back with cargo protector package, Moonroof, Executive Driven, Low km's, Save Thousands! This SUV passed our 169 Point Truro Nissan Certified Inspection checklist performed by our Nissan Certified technicians. Nissan Factory Warranty Remaining! Lots of extended coverage available! 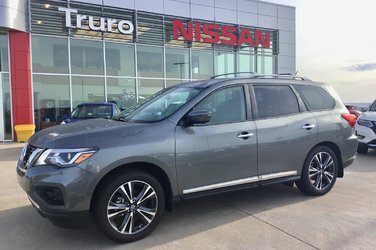 Interested by the 2018 Nissan Pathfinder Platinum 7 Passenger SUV AWD SAVE $$$?